It’s SEO friendly and spaces will launch in a distraction-free window above your site. What is WP Matterport Shortcode? 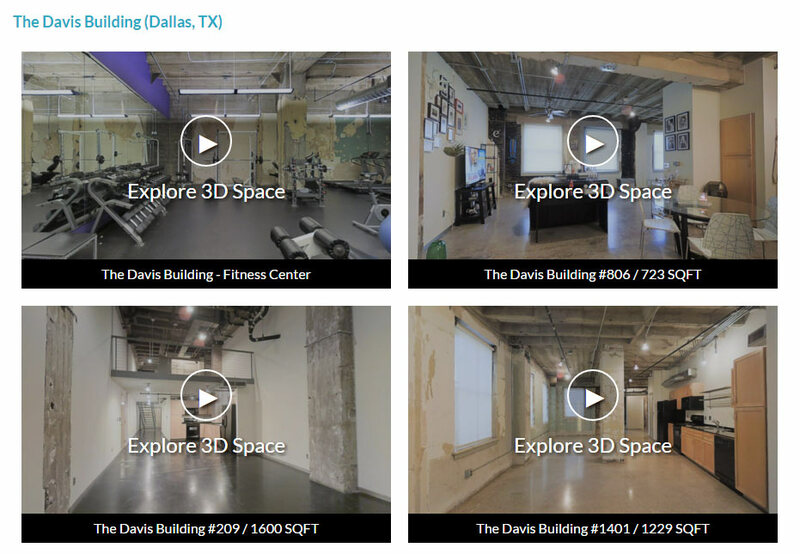 Embed Matterport Spaces with preview image and an distranction-free overlay that the tour opens in. Easily include address information and # of scans sourced directly from your Matterport tours. Optimized with information caching to make a portfolio page load fast! Includes a great admin page for refreshing cached information and quick access to your models @ MyMatterport.com. How do I Use WP Matterport Shortcode? You can install WP Matterport Shortcode from the ‘Add Plugins’ page in your WordPress Admin. Just search for ‘Matterport’. Once installed, you can insert a Matterport space anywhere that you would like that you can write formatted text by using a shortcode. A shortcode starts with a [ and ends with a ]. Why I Made This Plugin. I made this plugin a few years ago for my own website. I wanted to showcase the spaces that I had built in a very concise gallery format — just like a WordPress image gallery. I built the code and decided it would be a great plugin to share so that everyone can build a Matterport Space Gallery on their WordPress site. This plugin allows me to setup all of the settings that I’d like to use, specify the number of columns and and then provide a comma separated list of spaces to instantly setup a gallery. ### – Set alternate height — IT IS NOT NECESSARY TO SET BOTH WIDTH AND HEIGHT. Explore 3D Space – Replace ‘Explore 3D Space’ message with custom message. “hidden” – Do not show titles or any information below tour. NULL (default) – Do not show date. Below is a list of all of the Matterport URL Parameters. There are no surprises here. You can use all of them with WP Matterport Shortcode. Please refer to the ‘DOCS’ page on this site for a list of all support MPEmbed (Free) Parameters. They are exactly the same. 1 – Always show help when the Matterport Space opens. 2 – Always show help when the Matterport Space opens. More concise help text than help=1. 1 – Enable Quickstart (when the Matterport Space first opens, go straight into Inside View). Only works if Start Position is Inside View. Learn more. -1 (default) – Number of seconds after initial fly-in before the Guided Tour automatically starts. Help is not shown. Set to a negative number to not start the Guided Tour. 0 – Hide ‘Presented By’ details when Space opens. Hide contact details in the About Panel (top-left grey corner of 3D Showcase). 0 – Hide Dollhouse View in introductory fly-in. Hide Dollhouse Button in bottom left corner. Hides dollhouse / floorplan view snapshots in highlight reel. 1 – Show the MLS-friendly version of the Matterport Space. This removes branding, removes links in Mattertag™ Posts, and removes VR. 0 – Space title is not displayed. Top-left about panel not displayed. 1 (default) – Space title is display. Top-left about panel is displayed. 2 – Space title is not displayed. Top-left about panel is displayed. 0 – Remove the option to switch floors. This treats the Matterport Space as “all one floor”. 0 – Ignore scroll wheel input from the mouse. Scroll wheel input will cause the entire webpage to move up and down. This parameter is only valid when the Space is embedded with an iframe. 0 – Do not show the path to the next highlight. 1 (default) – For Guided Tours with walkthrough transitions, show the blue path on the ground to the next highlight. 0 – Do not pan when you reach a new highlight in a Guided Tour. 1 (default) – Gently pan once you reach a new highlight in a Guided Tour. 0 (default) – Stop once you reach the end of the Guided Tour. 1 – Loop back to the beginning once you reach the end. 0 – For Guided Tours with walkthrough transitions, use the 3D mesh when transitioning between highlights. 1 (default) – Use 2D panorama imagery during transitions (mesh-free transitions). 3500 (default) – Number of milliseconds to wait at each highlight during a guided tour. 1 – Opens the Space in a limited mode by itself. Users cannot navigate to other Spaces in the Matterport VR app. This is the same limited mode that is used in VR Collections. Custom start point — hit ‘U’ while viewing a tour to get this link and copy the ‘start’ parameter.